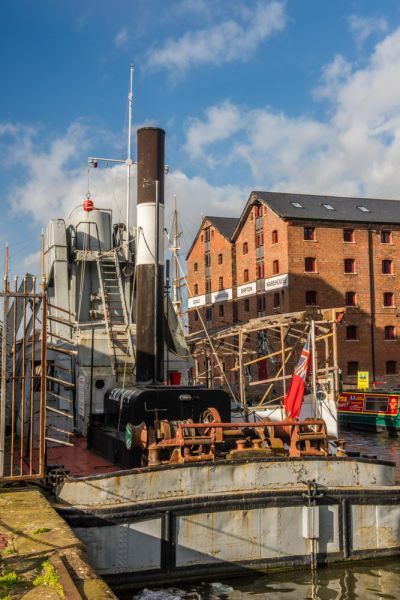 Gloucester Waterways Museum is an award-winning museum housed in a restored Victorian warehouse. 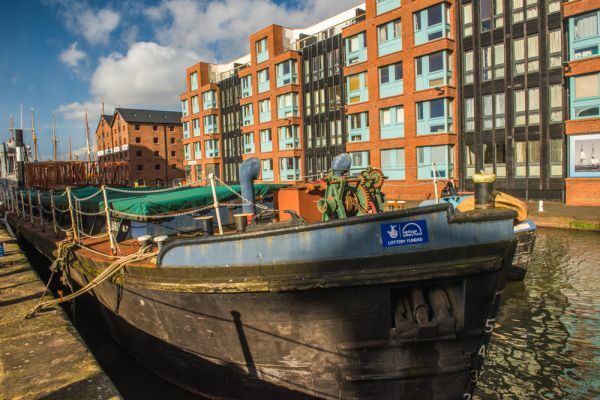 Hands-on exhibits follow the history of inland waterways in Britain over the past 200 years, with floating exhibits and canal boat rides in the summer. In 1873 Capel Tripp designed a red-brick warehouse on the Gloucester docks for Wait James and Company, corn merchants. 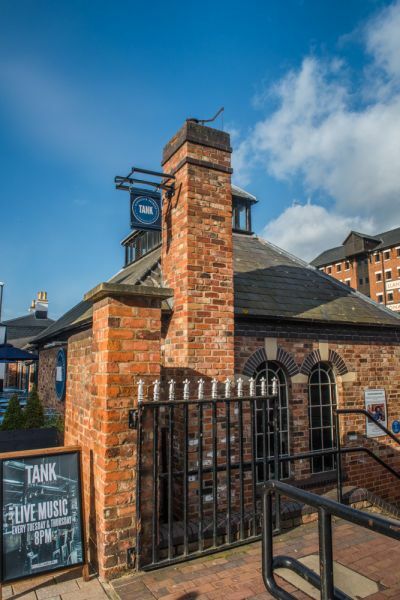 The warehouse location was perfectly situated for inland waterway transport, lying directly beside the Gloucester and Sharpness Canal, and the River Severn, linking to the Atlantic coast. In 1987 the 6 storey Victorian warehouse was restored by the British Waterways Board to serve as a National Waterways Museum. The NWM has since split into several parts, with collections at Ellesmere Port in Cheshire and Stoke Bruerne in Northamptonshire each covering a different aspect of British waterway heritage. 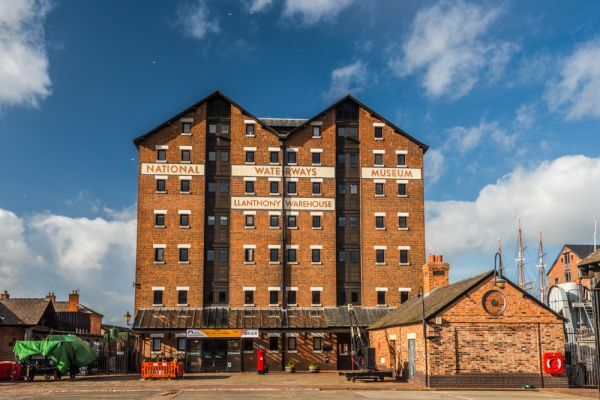 The original National Waterways Museum in Gloucester has been renamed as the Gloucester Waterways Museum. The museum has a collection of historic boats covering every aspect of inland waterway heritage, from river tugs, traditional narrowboats, river barges, canal tugs and a dredger powered by steam. The steam-powered dredger is one of the last fully functional examples in Europe. Other relics of the industrial heritage of the Llanthony Warehouse site is a fireless locomotive, railway line, and turntables. One unexpected vessel to see is one of the original 'Little Ships' of Dunkirk. 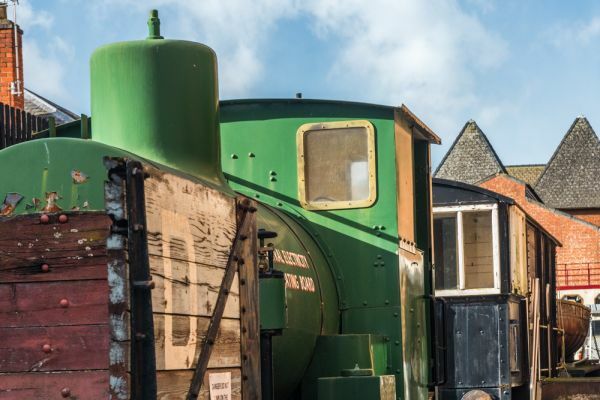 One major focus of the museum is the Heritage Boatyard; a recreation of a canal repair yard, with a restored heavy oil engine and steam crane to manoeuvre boats into position. 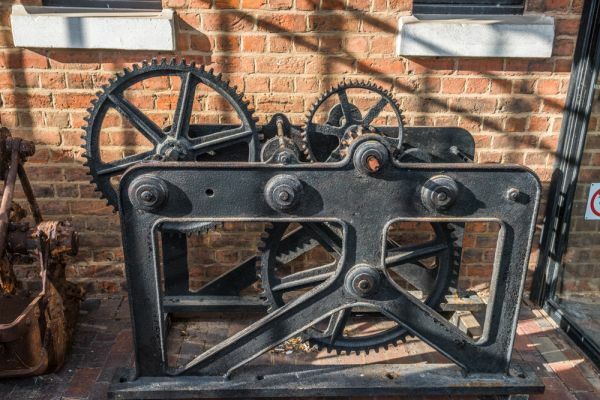 Repair equipment on display includes a forge, machine shop, hydraulic accumulator, weighbridge, and forge. The Heritage Boatyard is more than just a static display; it is used to train young people in traditional skills that might otherwise be lost. 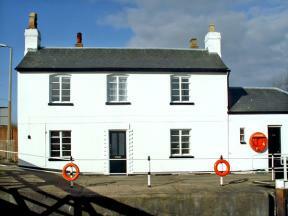 Visitors can climb on board historic vessels, and enjoy manipulating a traditional canal lock. Younger visitors can dress up in period costumes and play at being waterways children. One display looks at the wide array of wildlife you can find along Britain's canals and towpaths. An interactive gallery hosts models of canal locks and working engines. One interesting feature is an interactive display that lets you test different designs and race them against each other to find the most efficient boat shape. An exhibit called Trade and the Docks shows what a working warehouse was like, and how canals and docks help Britain's Industrial Revolution and the expansion of the British Empire overseas. See how people who worked on the waterways lived, with tools, clothing, archival documents, even family silverware. See what's involved in maintaining waterways through dredging, building and caring for bridges and tunnels. It is a fascinating slice of social history. 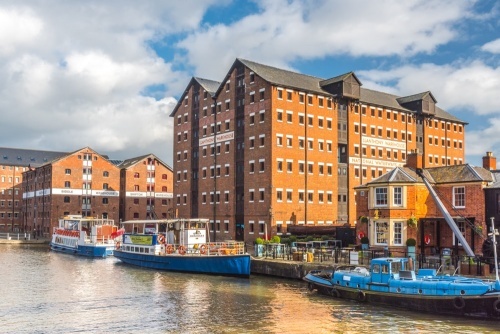 Location: Follow brown tourist signs to the Historic Gloucester Docks. There are several paid parking areas within a few minutes walk. A ground floor annexe near the city of Gloucester, sleeping two people in one bedroom.